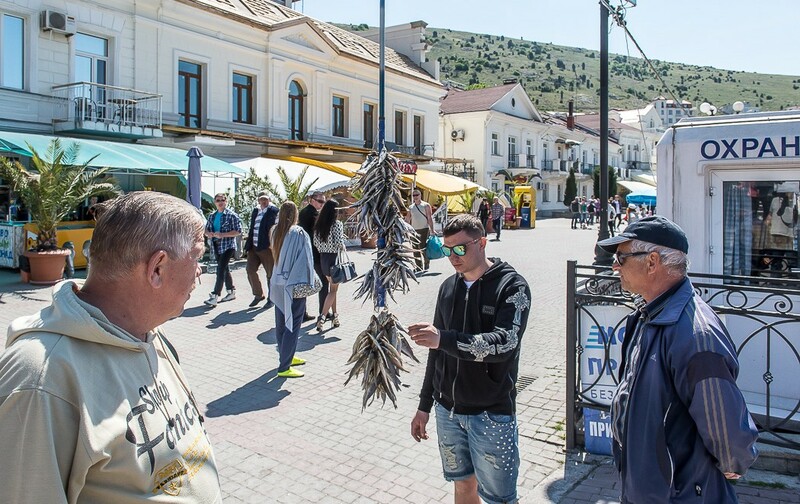 Being over 2500 years old Balaklava is one of the most ancient cities in the Crimea and it is very popular for tourists now. 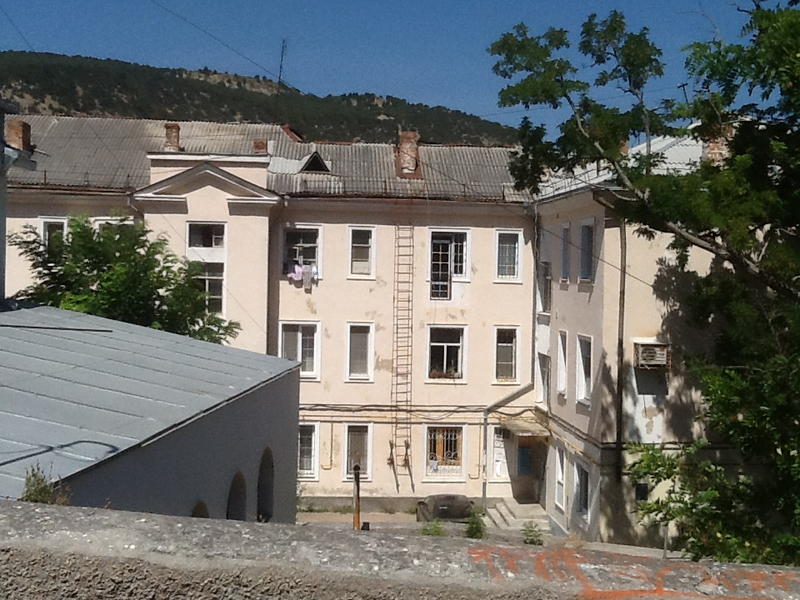 Balaklava has changed hands many times during its history. The first were Tauri (also known as Scythotauri ) in IX century BC, who worshiped the goddess Artemida. They gave their name to the peninsula, which was known in ancient times as Taurica, Taurida and Tauris. It’s believed the first records on a settlement with it’s ancient name the Lamos in the Balaklava bay has been found in Homer’s poem Odyssey. “His soldiers, with a dozen ships, arrive at “the rocky stronghold of Lamos” There is a beleive Odysseus, the main character of Homer’s Odyssey, visited this place during his journey back home to Ithaca. The giants ate many of Odysseus’ men and destroyed eleven of his twelve ships by launching rocks from high cliffs. 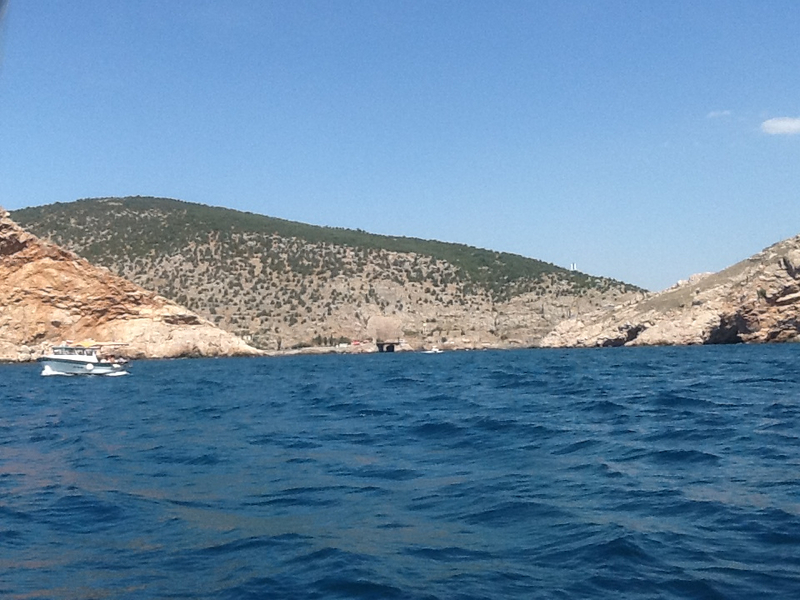 Odysseus’ ship was not destroyed as it was hidden in a cove near shore. 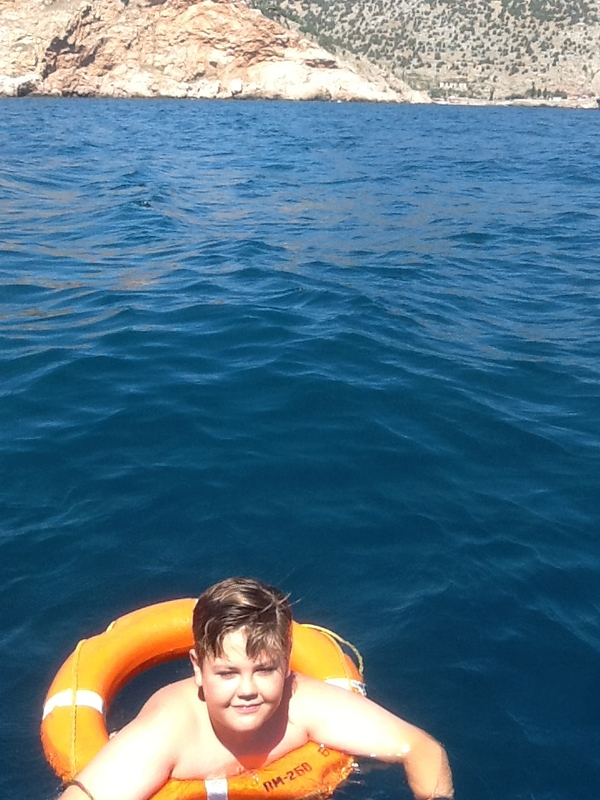 Everyone on Odysseus’ ship survived. Wall painting from the late 1st century BC. Although the Crimean coast eventually came to be dominated by Greek (and subsequently Roman) colonies, notably the one at Chersonesus, the Tauri remained a major threat to Greek power in the region. They engaged in piracy against ships on the Black Sea, mounting raids from their base at Symbolon (Ancient Greek name for today’s Balaklava). By the 2nd century BC they had become subject-allies of the Scythian king Scilurus. Legendary Tauri, Genoese colony, Ancient Greeks and Romans, The Ottoman Empire, The Russian Empire, Soviet Union, Nazi Germany occupation during the WW2, owned by Ukraine for 23 years and now back to Russia. Balaklava as all еру Crimean peninsula has changed hands many times and has very many memorable places due it’s rich history. 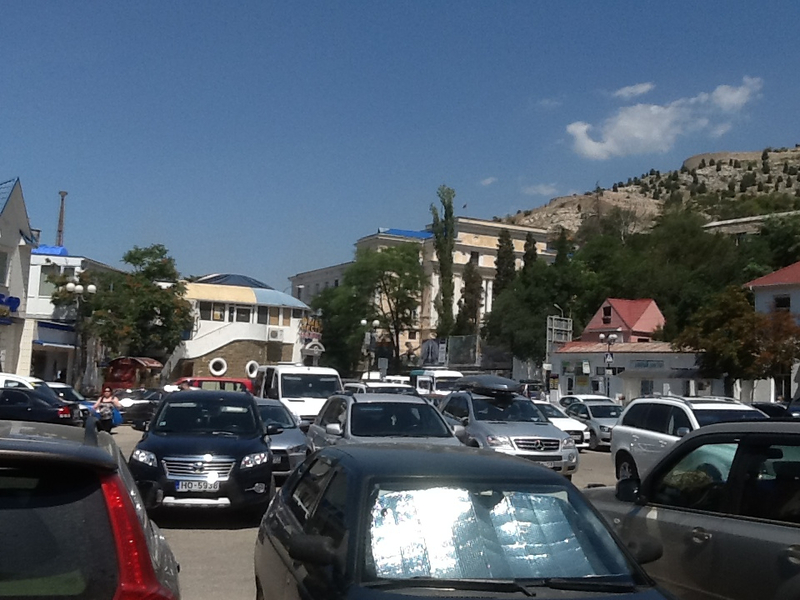 Balaklava is really a must-visit place! 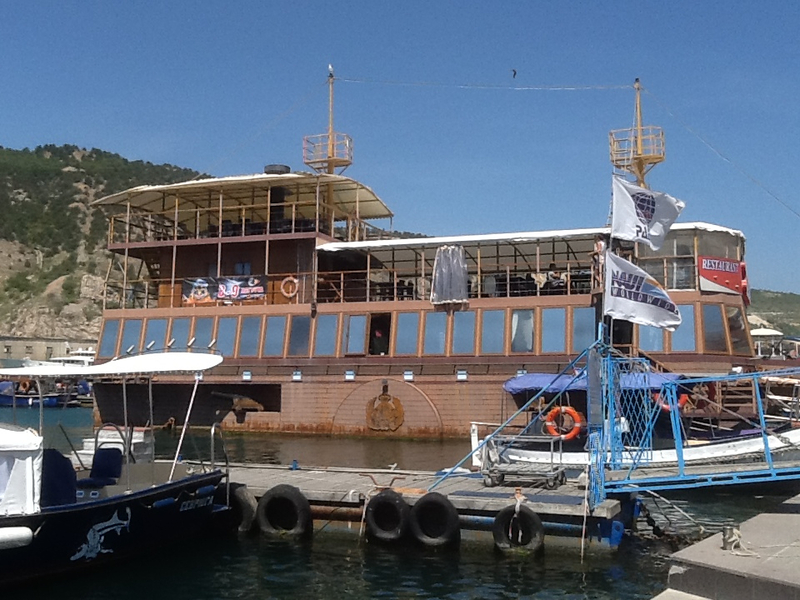 Balaklava’s yacht club. 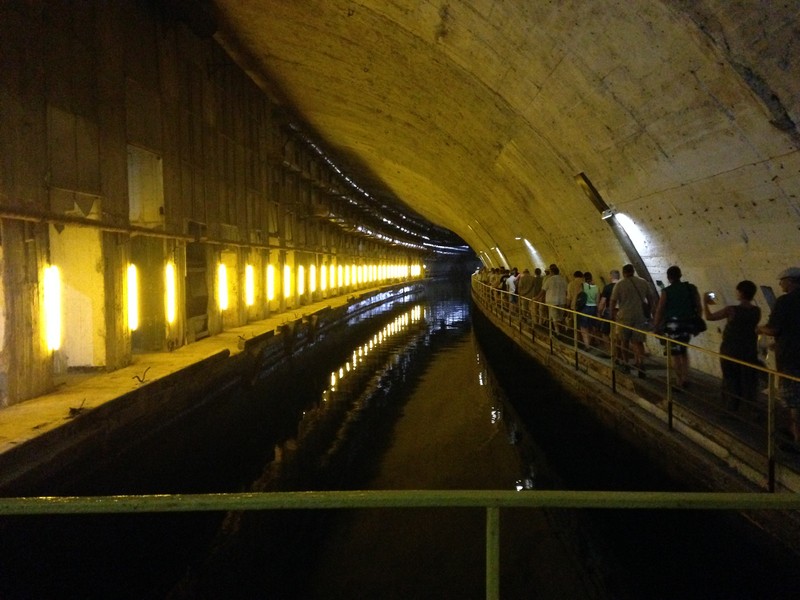 On this spot the Ukrainian run away president Yanukovich was last seen in Ukraine. During the bloody Crimean War, English forces were stationed at Balaklava. In two years, the Englishmen built a boardwalk, which is still a popular place for tourists to stroll. They also opened shops, pubs, hotels, and more here. At that time, Balaklava was called ‘Little London.’ A memorial plaque, ‘Balaklava 1854,’ is in the British capital today. 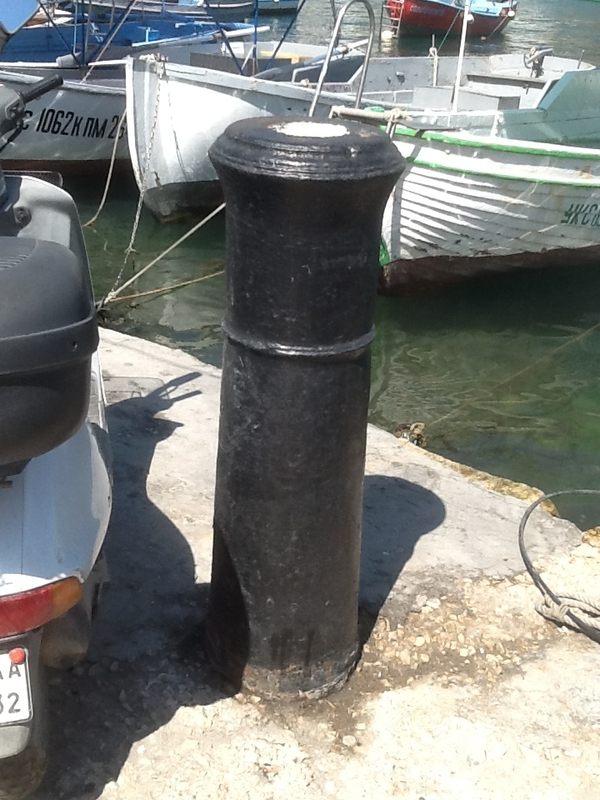 A british navy cannon salvaged in Balaclava now used as a boat moor. 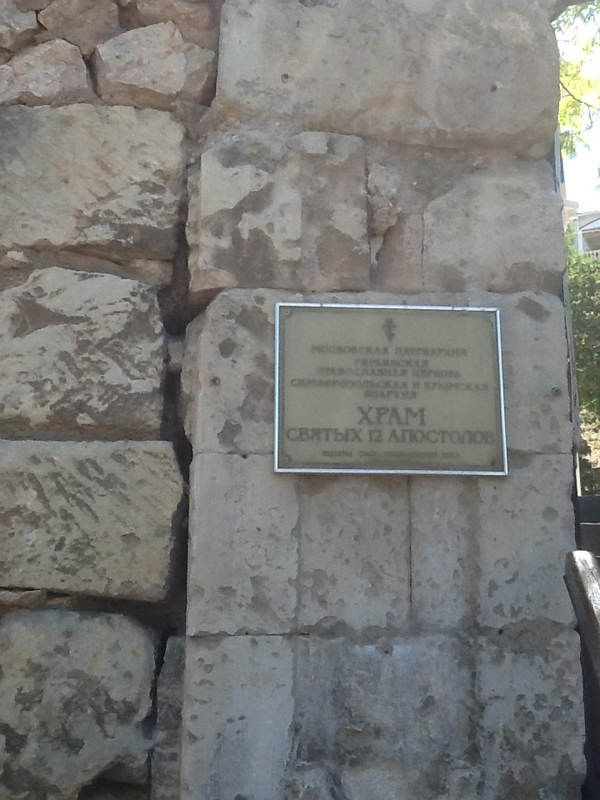 On this spot Prime Minister Winston Churchill ones stood visiting Balaklava. Winston Churchill, who was a keen military historian and a former cavalryman, insisted on taking time out during the Yalta Conference in 1945 to see the battlefield of The charge of the Light Brigade for himself. 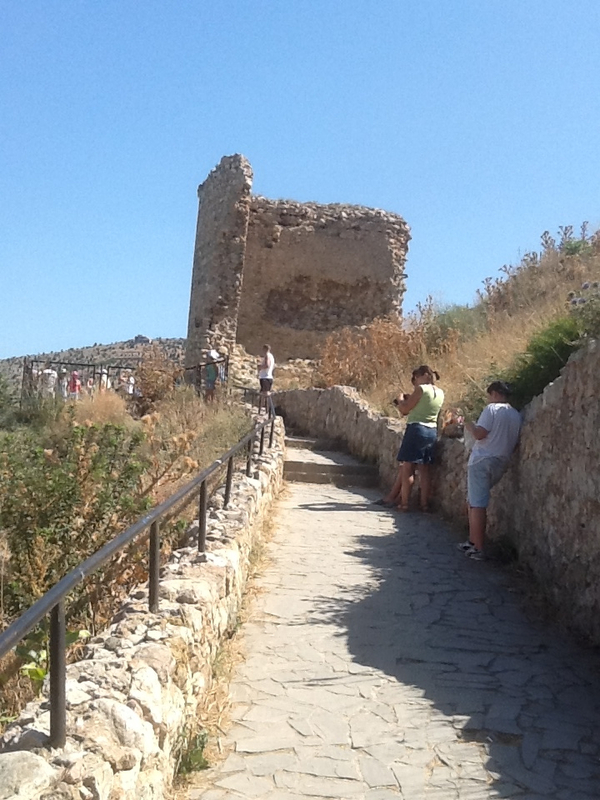 The remains of the Genoese fortress. During the Middle Ages, Balaklava bay was controlled by the Byzantine Empire and then by the Genoese who conquered it in 1365. The Byzantines called the town Yamboli and the Genoese named it Cembalo. The Genoese built a large trading empire in both the Mediterranean and the Black Sea, buying slaves in Eastern Europe and shipping them to Egypt via the Crimea, a lucrative market hotly contested with by the Venetians. The ruins of a Genoese fortress positioned high on a clifftop above the entrance to the Balaklava Inlet is a popular tourist attraction and have recently become the stage for a Medieval festival. The fortress is a subject of Mickiewicz’s penultimate poem in his 1825 cycle of Crimean Sonnets. During the Nazi Germany occupation this building was used by the Gestapo. One of many of Balaklava’s mysteries are connected with the treasures of the English steamer ‘Prince’ whose remains still lie somewhere at the bottom of the harbour. HMS Prince, a British naval vessel which sank near the port of Balaclava during the Crimean War. Some 144 men on board the ship were killed after it sank in November 1854 and thousands of badly needed winter uniforms were also lost. 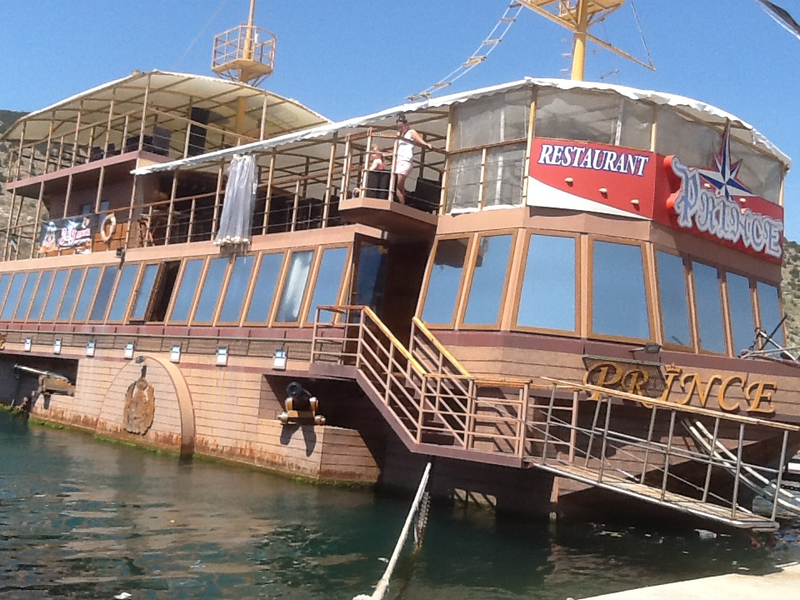 The British iron steamship the Prince which according to a story was carrying thirty barrels of gold in English and Turkish currency when it was destroyed on the cliffs at its entrance to Balaklava bay. The Prince’s treasure has been sought by Russian divers as well as Germans, French, Norwegians, Italians, Japanese, and even Americans. It’s believed nothing was found. 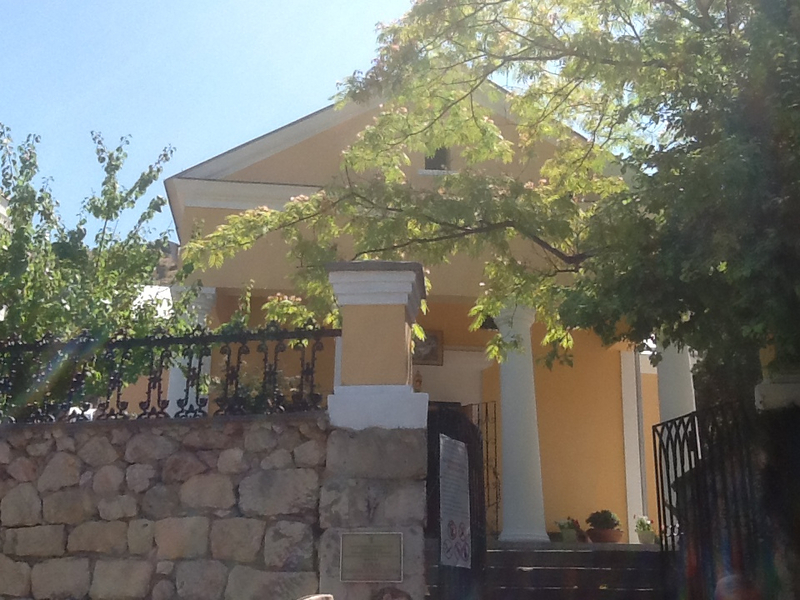 Church – now Church of the Twelve Apostles. According to one version, it was built in 1357, what the inscription on the stone, discovered under the plaster during restoration, “1357, on the day of September, started the construction of this while operating a humble man of Simon de Orto, consul and castellan.” In 1794 the church was restored, also appeared portico. 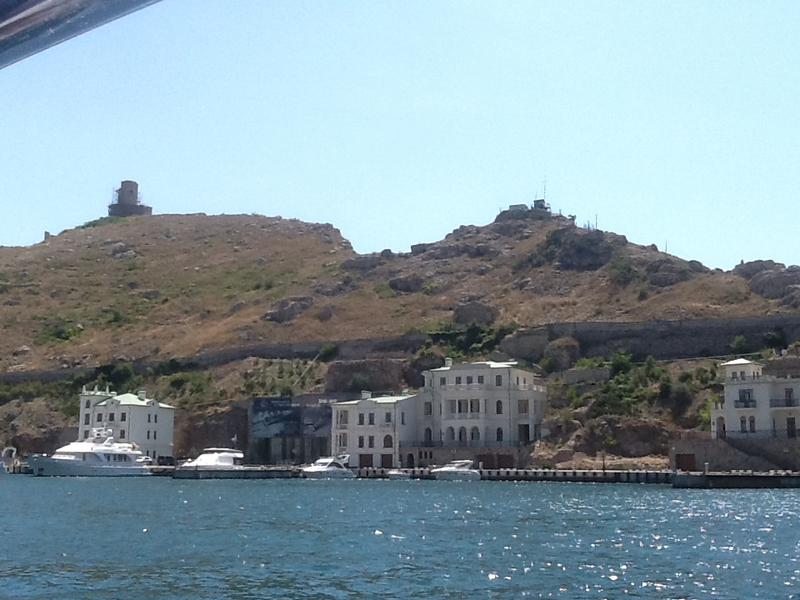 We completed our visit to Balaklava with very pleasant trip on a boat. 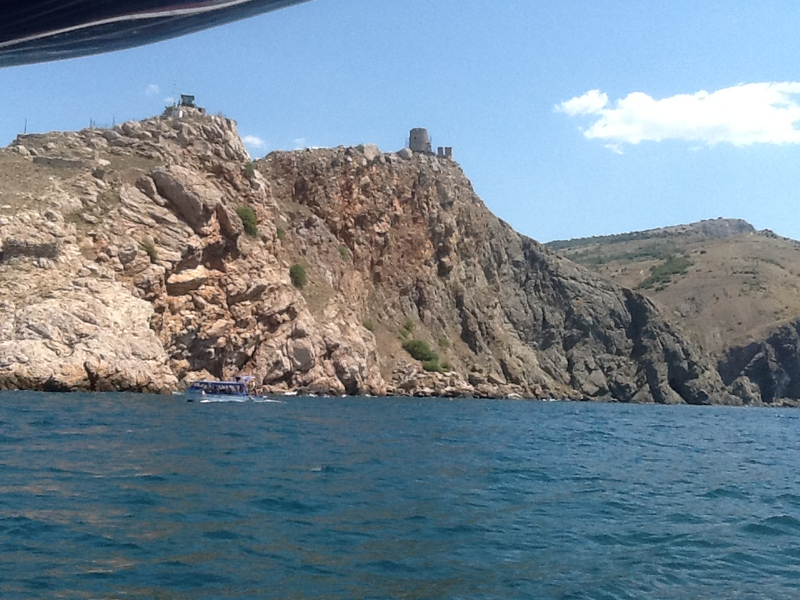 Below you can see the picture of the entrance to the secret Balaklava bay from the open sea. Now you can see for yourself how well it is hidden and why the ownership of this bay was so high south after! 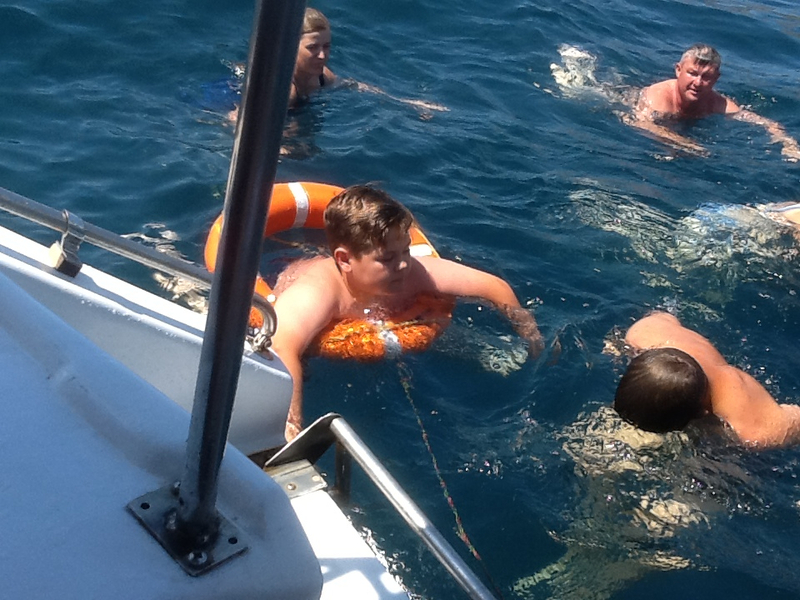 Alexei and our friends all swam in the open sea near the enterence to Blalaklava bay. The water was beautifully warm and very blue. 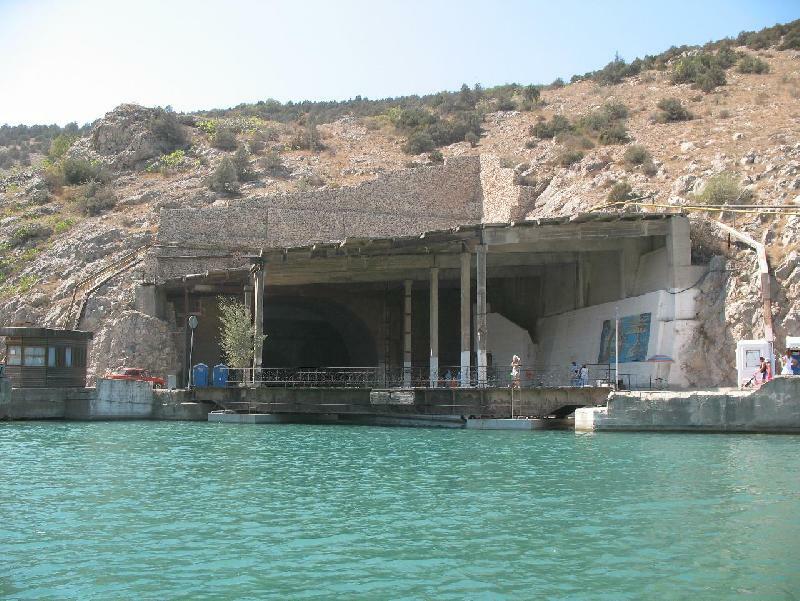 Comments on " Secrets of the Balaklava bay, Crimea"
Reblogged this on Going to Crimea!.